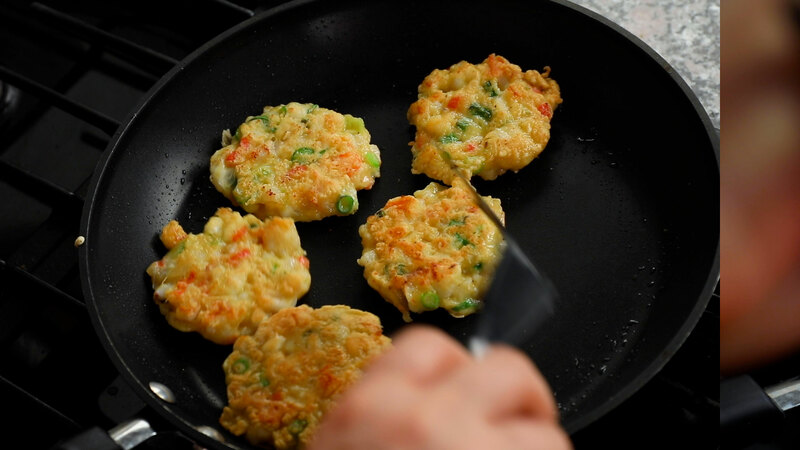 Today I’m introducing you to my family’s all time favorite dish, haemuljeon, a Korean pancake made with a few different kinds of seafood. Growing up in a harbor city on the southern coast of South Korea, every meal table was abundant with seafood. The traditional open air market was very close to my house so my mom went there every morning and bought all the fresh ingredients that she needed for that day. I used to go with her every morning, holding her hand. I don’t ever remember refusing her offer: “Do you want to come with me when I go shopping?” It was always so early in the morning! How early? 5 or 6 am! The market was usually full of people, even so early in the morning. People came to sell their catch, and some people were coming to buy fresh ingredients like us. And then other people were selling food there, like porridge, noodle soup, and rice cakes. 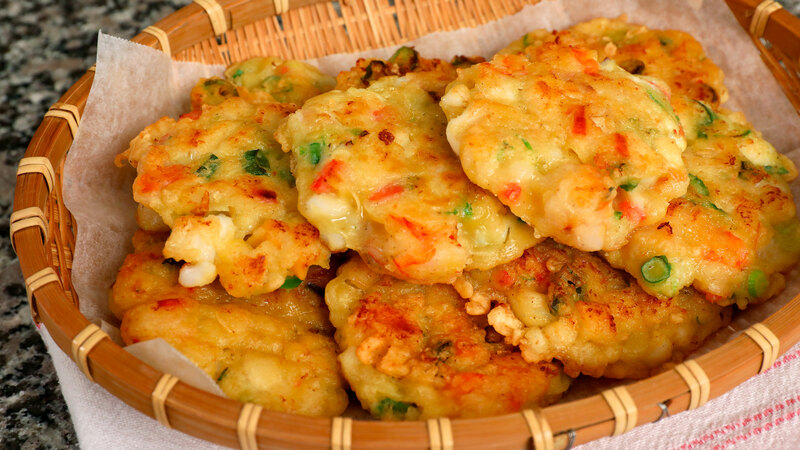 Haemuljeon was one of my father’s favorite dishes. My mom brought fresh seafood home, chopped it up, and mixed it with green onion or buchu (chives) in a batter and cooked it on a skillet. Since it all happened so early in the morning, I had tons of time left before going to school! These are all such good memories. 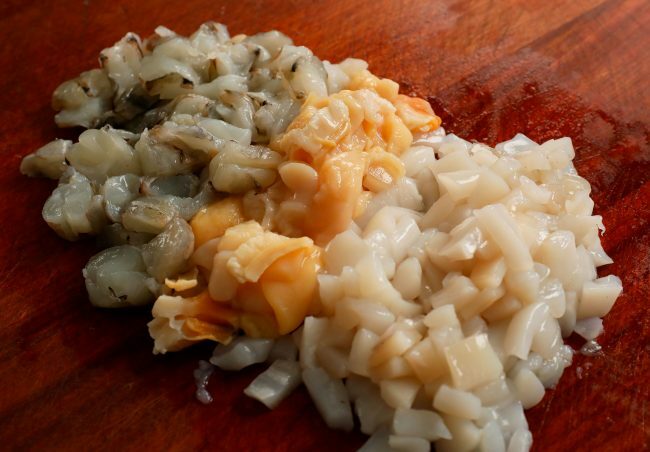 This dish is easy to make, and all you need are a few different kinds of your favorite seafood. Fresh oysters, mussels, or scallops will work well, but the recipe below is my family’s favorite. With these ingredients you can make it just like we like to. Put the shrimp, clam, and squid into a bowl. 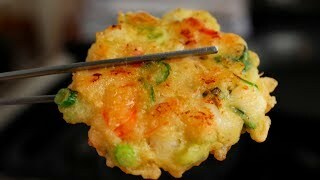 Add green chili pepper, green onion, carrot, flour, potato starch, egg, water, fish sauce, salt, black pepper, and sesame oil. Mix it all together with a spoon. Heat a non-stick skillet over medium heat. Add about 2 to 3 tablespoons vegetable oil and swirl it around to coat evenly. Take 1 or 2 spoonfuls of the mixture and place it on the skillet. Shape it to round, ½ inch thick about 3 inch wide disks with the spoon. 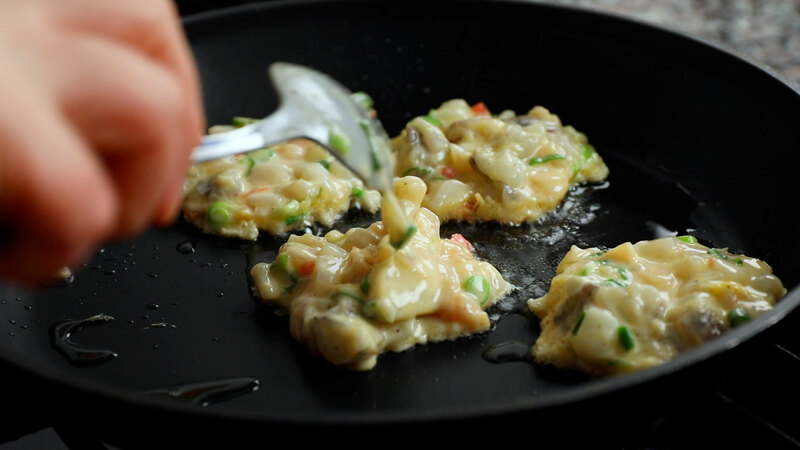 Make a few more disks until your skillet is comfortably full of them. About 2 minutes later, when the bottom of the pancakes turn a little crunchy, gently flip them over. Cook another 2 minutes, and then flip them over again. Cook another 1 to 2 minutes until both sides are light golden brown and crunchy. Transfer the cooked pancakes to a plate. Clean the skillet with paper towels, add 2 to 3 tablespoons vegetable oil and make pancakes with the rest of the batter mixture. 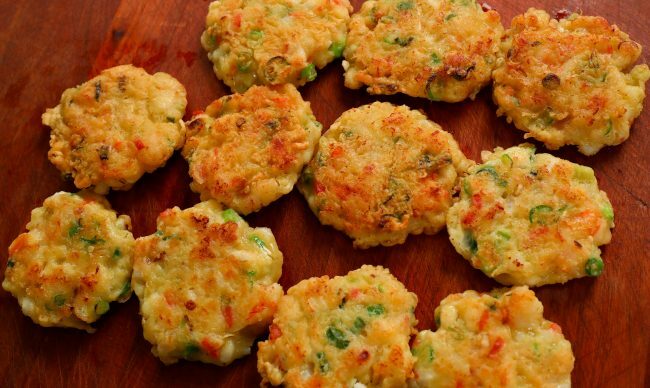 Serve with rice, as a snack, or as a side dish for beer or soju. Posted on Saturday, April 6th, 2019 at 5:17 pm. Posted April 17th, 2019 at 2:46 am | Log in to reply. Yums! I am having some friends on Friday for lunch (it’s a public holiday here in SG) & I will be cooking this dish to serve them together with your tofu stew; Korean fried chicken!!! Thank you for sharing your delicious recipe Maangchi! Posted April 9th, 2019 at 4:53 pm | Log in to reply. Posted April 6th, 2019 at 11:37 pm | Log in to reply. What a wonderful dish! My wife does not like these, so when I make them it is all for me. Yay!!!!!!!!!! I like to make a dipping sauce, too. Posted April 9th, 2019 at 10:10 pm | Log in to reply. What type of dipping sauce? Was looking for one on Maangchi’s site but didn’t find anything that sounded like it went well with. I served the pancakes with stir-fried vegetables and rice and, of course, Kimchi. The meal was out of this world! But a sauce was needed. Not a fan of just dashing on high-sodium thin sauces like fish sauce and soy sauce. Looking for something with a little more texture and less salt. Thank you. 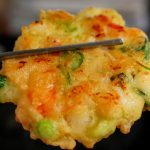 This recipe was originally posted on April 6, 2019 at 5:17 pm by Maangchi. The video was watched 517,367 times on YouTube & has 20,523 likes!